In FX the financing fee is calculated as a 0.015% of the overnight exposure. For Cryptocurrencies the financing fee is 2.00%. Please refer to the Cryptocurrencies Risk Disclaimer . 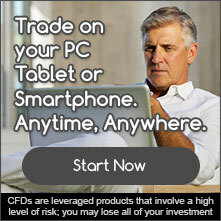 On CFDs the financing fee will be calculated as 0.015% of the overnight contract value in US Dollars. Default Leverage for new inexperienced clients who did not pass the appropriateness test, is set at 1:40. If a lower Leverage applies for the traded instrument, then the lower Leverage prevails. Default Leverage for experienced new clients who passed the appropriateness test, is set at 1:50. If a lower Leverage applies for the traded instrument, then the lower Leverage prevails. *(1) Maximum Leverage does not apply to inappropriate clients. Inappropriate clients can choose a maximum Leverage of up to 1:100. (2) For clients with Polish jurisdiction, the maximum Leverage is up to 1:100 (Effective as of 16/7/2015). If a lower Leverage applies for the traded instrument, then the lower Leverage prevails. * Not available to clients with Polish jurisdiction. Administrative Fee: Inactive trading accounts (i.e. absence of trading activity for a period of six months or more ) will be charged $ 33.33 USD per month($ 100,00 USD quarterly). The Stocks or Indices offered via CFDs that are not denominated in USD (i.e. EUR, GBP,AUD, SEK, PLN etc.) are all represented and displayed on the platform in USD. This means that when trading such instruments the displayed prices are USD and the resulting profit or loss from trading them is also calculated in USD. Stop and trailing stop orders must be placed at a 15 pips minimum distance to market prices. GTCM offers trading with gold, silver and oil as well as currencies 24-hours a day, five days a week. For currencies: Sunday 22:00:01 through Friday 21:00:00 GMT For CFDS, commodities, indices and stocks trading hours please click here. **For full account types and their spreads in value click here. ***The spread on cryptocurrencies is calculated at approximately 5.00% of the underlying instrument value. The company will periodically and at its own discretion review the charges accordingly depending on the instrument volatility and the corresponding increase or decrease in the price. Please always refer to the Trading Conditions webpage to keep up to date with possible changes. 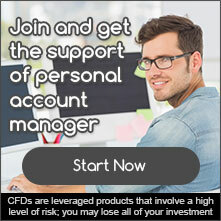 For the Key Information Document for CFDs in Cryptocurrencies please click here.